By undertaking a complete overhaul of the building, Ashley was able to deliver a fully renovated, highly useful facility to the market. 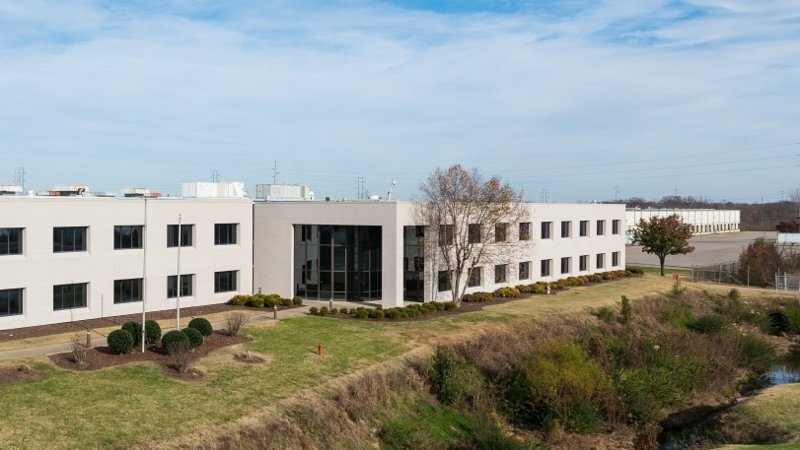 In June 2014, Ashley Capital acquired Interchange Business Center, a 791,000 SF warehouse/distribution center on a 53-acre site southeast of Nashville, TN. The site offers quick access to I-24, I-850, I-40, I-65 and the Nashville International Airport. Interchange Business Center’s well-connected location and extensive list of recent building improvements make it an attractive space for manufacturers, logistics companies, warehousers, and distributors. Whirlpool originally constructed the building in 1973 and expanded it in 1978 and 1990. When Ashley acquired the property 24 years later, the building was functionally obsolete and only 16% occupied. Whirlpool had used the site to manufacture KitchenAid appliances and there were major capital improvements required and environmental issues to address. The property contained contaminated soil and groundwater in addition to vapor intrusion conditions. Despite these challenges, Ashley Capital saw upside potential in the property given the site’s prime location within the Nashville industrial market and the building’s good clear heights ranging from 22’ – 40’. To remedy the environmental issues, Whirlpool installed a pump and treatment program and a depressurization system. With remedies and liability protection in place, Ashley was comfortable acquiring and renovating the facility. By undertaking a complete overhaul of the building, Ashley was able to deliver a fully renovated, highly useful facility to the market. The renovations in 2015 and 2016 included a complete reroofing, replacement of 60 dock doors and the addition of 20 new doors so that all four sides of the building have dock doors, new paint throughout the entire warehouse, construction of new office space, a new electrical system, new HVAC rooftop units, and more. Today, the property meets functional standards for quality industrial space in this market. Interchange Business Center is fully leased to tenants such as Penske Logistics, AmerSPORTS, FSI, and Singer Sewing. With the renovation complete and successful lease-up of the building, Ashley was able to refinance its existing short-term loan in 2017 with a new long term fixed rate loan from John Hancock Life Insurance Company.